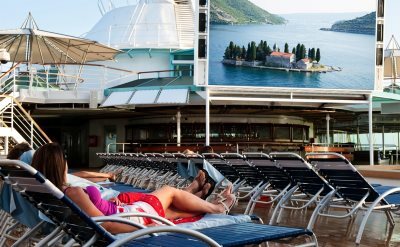 Royal Caribbean offers cruises from Fort Lauderdale to the Eastern Caribbean, Western Caribbean, Aruba, Cuba and Transatlantic. The schedule of departures is below. 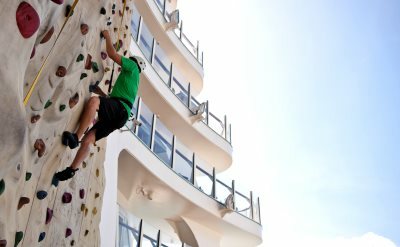 From sunrise to sunset, there's something exciting for you to do on a Royal Caribbean cruise vacation. Take a swim or get a relaxing massage. Try your luck in the casino, attend an art auction, or dance in a nightclub. There are even supervised activities for kids. The Royal Caribbean cruise terminal at Port Everglades in Fort Lauderdale is terminal 18. If it's in use, your ship may dock at another terminal. There are digital direction signs at the port that are updated daily to direct you to the correct place. 7-night Eastern Caribbean cruises on Royal Caribbean Allure of the Seas. Round-trip from Fort Lauderdale to Basseterre (St Kitts), St Thomas (US Virgin Islands) and Nassau (Bahamas). • 2019 departures: May 12, June 2, June 23, July 14, August 4, August 25, September 15, October 6. 7-night Eastern Caribbean cruises on Royal Caribbean Allure of the Seas. Round-trip from Fort Lauderdale to Philipsburg (St Maarten), San Juan (Puerto Rico) and Labadee (Haiti). • 2019 departures: May 26, June 16, July 7, July 28, August 18, September 8, September 29, October 20. 7-night Eastern Caribbean cruise on Royal Caribbean Allure of the Seas. Round-trip from Fort Lauderdale to Philipsburg (St Maarten), St Thomas (US Virgin Islands) and CocoCay (Bahamas). 7-night Eastern Caribbean cruises on Royal Caribbean Harmony of the Seas. Round-trip from Fort Lauderdale to Philipsburg (St Maarten), San Juan (Puerto Rico) and Labadee (Haiti). 8-night Eastern Caribbean cruises on Royal Caribbean Adventure of the Seas. Round-trip from Fort Lauderdale to Labadee (Haiti), San Juan (Puerto Rico), Philipsburg (St Maarten) and Basseterre (St Kitts). • 2019 departures: April 13, April 27. 10-night Eastern Caribbean cruises on Royal Caribbean Serenade of the Seas. Round-trip from Fort Lauderdale to St Thomas, St Croix, Antigua, St Kitts and St Maarten. • 2019 departures: April 5. 11-night Southern Caribbean cruises on Royal Caribbean Serenade of the Seas. Round-trip from Fort Lauderdale to Aruba, Curacao, Bonaire, St Lucia and Antigua. • 2019 departures: April 15. 4-night Cozumel cruises on Royal Caribbean Independence of the Seas. Round-trip from Fort Lauderdale to Cozumel (Mexico). • 2019 departures: April 11, April 25. 5-night Western Caribbean cruises on Royal Caribbean Independence of the Seas. Round-trip from Fort Lauderdale to Labadee (Haiti) and Falmouth (Jamaica). • 2019 departures: April 6, April 20. 5-night Western Caribbean cruises on Royal Caribbean Independence of the Seas. Round-trip from Fort Lauderdale to Puerto Costa Maya (Mexico) and Cozumel (Mexico). • 2019 departures: April 1, April 29. 6-night Western Caribbean cruises on Royal Caribbean Adventure of the Seas. Round-trip from Fort Lauderdale to Grand Cayman (Cayman Islands), Cozumel (Mexico) and Puerto Costa Maya (Mexico). 7-night Western Caribbean cruises on Royal Caribbean Allure of the Seas. Round-trip from Fort Lauderdale to Cozumel (Mexico), Falmouth (Jamaica) and Labadee (Haiti). • 2019 departures: May 19, June 9, June 30, July 21, August 11, September 1, September 22, October 13, October 27. 7-night Western Caribbean cruises on Royal Caribbean Allure of the Seas. Round-trip from Fort Lauderdale to CocoCay (Bahamas), Cozumel (Mexico), Puerto Costa Maya (Mexico) and Roatan (Honduras). 7-night Western Caribbean cruises on Royal Caribbean Harmony of the Seas. Round-trip from Fort Lauderdale to Labadee (Haiti), Falmouth (Jamaica) and Cozumel (Mexico). 16-night Transatlantic cruise on the Serenade of the Seas. One-way from Fort Lauderdale to Copenhagen (Denmark). Visit Ponta Delgada (Azores), Cork (Ireland), Le Havre (France), Zeebrugge (Belgium) and Amsterdam (Netherlands). • 2019 departure: April 26. 14-night Transatlantic cruise on the Independence of the Seas. One-way from Fort Lauderdale to Southampton (England). Visit Labadee (Haiti), San Juan (Puerto Rico), St Thomas and St Maarten.